What are the most common heat treatments for steel alloy metals? The heat treating process is used to change the physical and mechanical properties, without altering the shape of a metal part. These steel treatments are provided through several different options to achieve two desired results. What are these results of steel heat treating? – First, to increase the surface strength of the steel alloy material. – Second, heat treatments are also used to soften the material and improve the ease of machinability. When a steel material is hardened for manufacturing of a shaft, gear or precision part, it is done to increase the surface strength and wear resistance properties. Once a steel component has been hardened, it is extremely difficult and nearly impossible to cut, shape or even bend the metal. To complete the hardening process, the metal must be heated and cooled very quickly by quenching in clean, cold water. Before a steel is given the term “hardened steel” it must go through two major processes of hardening and tempering. Step 1 – The metal is heated until it reaches a high temperature. 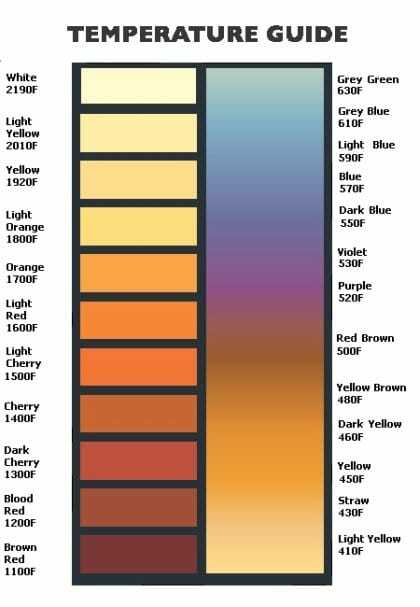 When the material reaches the high temperature, a great heat intensity is applied to the area that requires hardening. When the steel begins to turn red, it is time for the next step. Step 2 – The steel is then placed into cool water to reduce the temperature. At that point, the steel is very hard but has the chance to shatter easily. Step 3 – This step begins the second phase of tempering the steel. Once again, the steel is re-heated until it turns the correct blue color. Once the metal turns blue, this signifies the final stage of heating has been completed. Step 4 – The last step of hardening is to let the steel cool down on its own. Once the steel has properly cooled down, the hardening process has been completed. Annealing is mainly used to soften, relieve internal stress, improve machining and to develop particular mechanical and physical properties. When the steel alloy is softened, it becomes easier to be cut and shaped. Sometimes the annealed steel can bend when a specific amount of pressure is applied. This is why heated steel alloy must be cooled very slowly or the metal can crack, break or shatter when being shaped. There is an additional process called Normalizing. Normalizing steel is another heat treatment process that is used to relieve stress while either softening or hardening the steel. The primary factor for using normalizing is to counter the effects of the previous manufacturing processes (such as rolling, casting, forging, etc). Normalizing refines the existing, non-uniform structure into one structure that is greatly improved – meeting the mechanical property requirements of a specific project. Normalizing heats the suitable steel between a specific range temperature of 830-950 degrees Celsius. Next, the steel is cooled by air so the material finishing or secondary machining removes de-carburized layers. 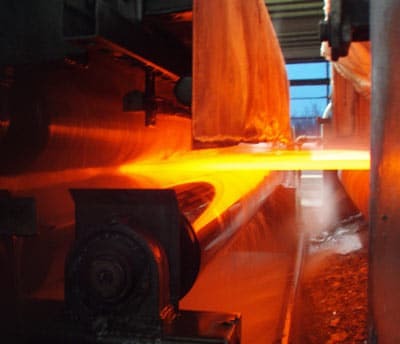 The softening, hardening and thermochemical processes are some of the most common heat treatments for steel. As you have read, these processes are used for metal material modifications and the behavior of steel to maximize a product’s service life.